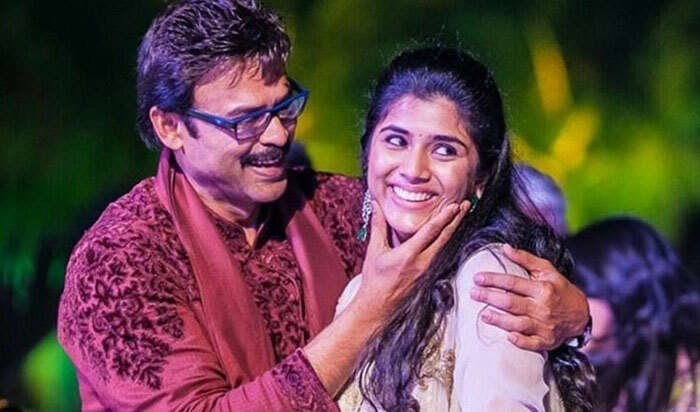 It's Destination Wedding for Venkatesh's Daughter? It is a known news that Victory Venkatesh's daughter Aashritha got engaged to her longtime boyfriend Vinayak Reddy some time ago. Vinayak Reddy is the grandson of Surender Reddy, Hyderabad Race Club Chairman. It's learnt that a destination wedding is being planned by both the families and the ceremony maybe held in either Jaipur or in any other country. Also, it can't be denied even if the wedding ceremony is planned at Rama Naidu Studios. March 24 has been locked for the couple's wedding. Aashritha is a professional baker and is running an outlet Infinity Partner located in Hyderabad. Why No Buzz on Maharshi?